Muddy Field Big Puddle, and Proud Mother. 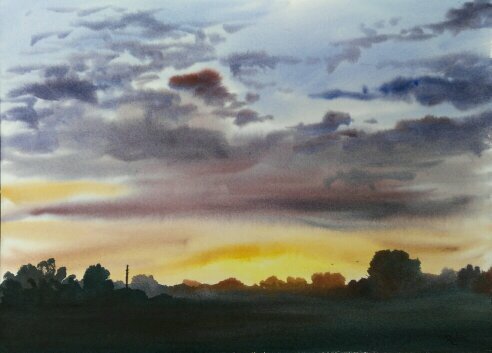 The Last Light is a watercolour painted from a reference photograph I took recently at Mareham Pastures in Sleaford. I wanted to try and capture the drama of a sunset and the last effects of the suns light on the landscape. Muddy Field Big Puddle was painted not far from Mareham Pastures. With all the rain we have experienced this year, the local fields have been covered in puddles and this image was based on a photograph I took looking towards Silk Willoughby. 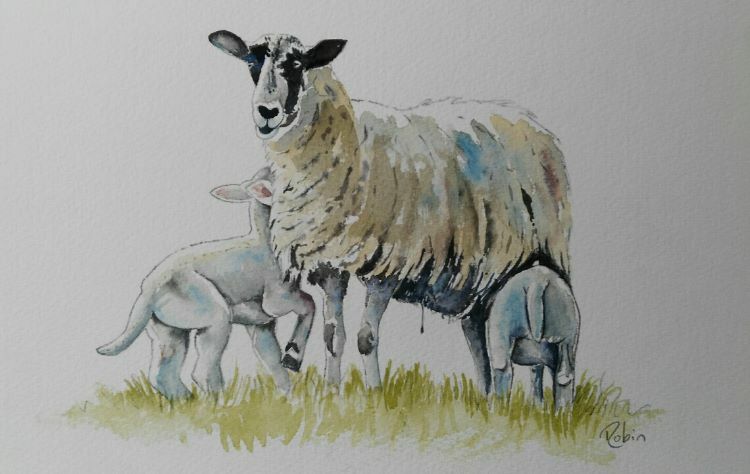 Proud Mother was inspired by a photograph I took last year of a ewe and her two lambs which I came across near Rauceby. The exhibition starts on Monday 30th April and finishes on 12th May. The gallery opening hours are 10am - 4pm Monday to Friday. Gallery closed Sundays.